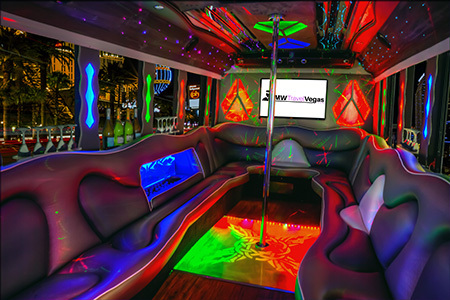 If you are looking for a bus for a bachelor or bachelorette party then you should seriously consider this beauty. In addition to bachelor parties this bus would be great to reserve for weddings or any night out on the town in Las Vegas. Contact us now about reservig this bus and we promise you and up to 30 of your friends and or family will have a memorable time.